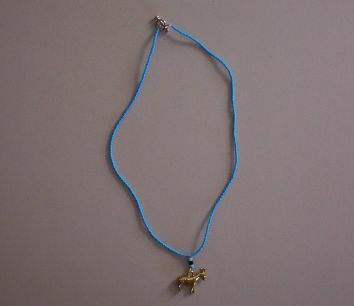 Cute blue seed bead necklace with drop Donkey charm mounted on three E beads. I designed and made this along 19" beaded necklace with other jewelry you will find here on this site too. THIS NECKLACE IS NEW AND HAVE NEVER BEEN WORN. It is also not returnable or refundable.